How To Save Money with a Free Prescription Savings Card, Co-Pay Cards, Patient Assistance Programs, Free Samples, and Other Techniques! There are many ways to save on Prescriptions, such as: Patient Assistance Programs, Prescription Savings Card or Free Drug Cards, Free Antibiotics and Free Samples, using Generic Drugs, Co-Pay Cards, Pill Splitting, and many other ways covered in this series! If you thought that I saved you a lot of money in other areas of this website, then by the time you find out how much money that I can save you on Prescriptions, you'll want to kiss me! There's so much information, that it takes 3 Pages. This is the 3rd Page, so be certain to go back and see Pages 1 and 2 when you're finished here. Co-Pay cards are usually given to you by your doctor. If the doctor doesn't automatically offer it to you, you can ask your doctor if the prescription manufacturer is offering a "co-pay card" for the Brand Name Prescription that they've prescribed you. You can also find these offers on prescription manufacturer websites, in magazines and sometimes in the newspaper, but they'll always tell you to get the prescription from your doctor. 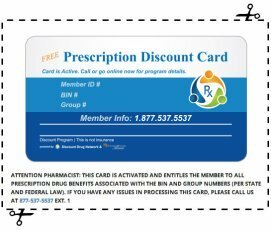 Some of these cards offer free 7, 30, 60 or 90-day trials of the medication, and others offer that you pay a set amount or co-pay (such as $15 or $25 for 6 refills) with or without Health Insurance for the medication. The manufacturer will pickup the rest of the cost for the medication even if you have Health Insurance. Although this is a temporary savings, it can be a huge savings none-the-less. I used one of these cards when I was uninsured for a pill that (ridiculously) cost @$25 each! I received 9 pills per refill, that would have normally cost me $225.00 per month for $15 per month for 6 months. Boy was I a happy camper!!! Pill Splitting is when your doctor intentionally gives you a higher dosage of your prescription, so that you can then break your pills in half to save money. Of course, this doesn’t work with capsules, only hard pills. 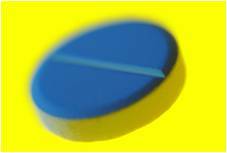 For example, if your normal dosage is 50mg, you would ask your doctor if they would prescribe 100mg (if available), so that you pay the same cost for the prescription, but cut or break the pills in half, thereby doubling the quantity. You can cut them manually, or you can purchase a Pill-Splitter for around $5 to $10 at most drugstores. 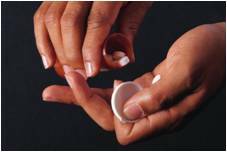 Your doctor will advise you whether or not it is safe to split a particular prescription or not. And, it is only advisable to do this if you have the discipline and wherewithal to ALWAYS remember to do it, since taking more than the recommended dosage can be dangerous! If you don’t have Insurance, and/or you simply can’t afford those expensive Brand Name or Generic Drugs, PLEASE look into the Patient Assistance Programs that I’ve listed. Trust me, you will kick yourself later if you skip this section! You might be eligible to save a lot of money on your prescriptions!!! Go into the links, type in the names of your high-priced Prescriptions (that are not on the other lists I've shown), then see if you meet any of the qualifications for these Patient Assistance Programs. It's that simple. Most patient assistance programs are run by pharmaceutical companies to provide free or low cost medications to people who cannot afford to buy their medicine. Other Patient Assistance Programs are State run programs or Government run programs. You will need to meet certain criteria to qualify for each program, such as age, income level, etc. I urge you to look into these programs!!! Especially if you are of limited means, at any time unemployed, a single parent, elderly, or even a husband and wife living on only one salary. You very well may qualify and can save a ton of money on those really expensive medications. If some of those brand name medications from Novartis, Pfizer, GlaxoSmithKline, Sanofi, Johnson and Johnson, Merck, AstraZeneca, Cymbalta and others are too expensive for you, most of them offer Patient Assistance Programs through one of the programs below! Press the ‘Learn More’ button under ‘Patients,’ then type in the name of your Medication/Drug. Select the specific medication from the list and it will list the eligibility requirements to qualify (income level, etc.) and provide forms and contact information for that program. If you have a high-priced specialty pill that cannot be taken in standard monthly quantities (such as the normal 30), but it IS COVERED BY INSURANCE, make certain that you're receiving the maximum amount of pills per month that your Insurance Company will cover/pay for. I am taking such a pill, and my doctor was writing the prescription for 6 pills per month. Awhile ago, I called the Insurance Company and found out that they will cover 9 pills per month for the same co-pay! Considering that my co-pay was still $30 per month for brand-name prescriptions whether I received 6 pills or 9 pills, I had been cheated out of 3 pills per month. I instantly had my doctor phone the pharmacy to update this prescription to a quantity of 9 per month, and they now write the prescriptions for 9 pills. The lesson here... call your Insurance Company to make certain that you are receiving the maximum quantity allowed per month. Now, if you have a Brand Name prescription that there is no generic prescription equivalent for, all hope is not lost. Each time you visit your doctor, ask for free samples of that drug. If you have a good doctor that has been prescribing this drug to you anyway, they will be happy to help! Don’t be ashamed to ask! They have a room full of free medicines that were given to them expressly for the purpose of giving away to patients. You've noticed those people coming in, very well dressed, sometimes when you're waiting in the doctor's waiting room to be seen. Well, they represent the pharmaceutical companies. They get to go straight back with their freebies. The next time you're in your doctor's office look around. You'll see the free posters, the free hand sanitizer bottles, the tissue boxes, the boxes of gloves and so on and so on with names of medications and pharmaceutical companies on them. These are all given to the doctor's offices along with free medications for us to try by the pharmaceutical companies. Of course, the hope is that the doctor will prescribe that drug to us, then we're on it for life, and ching-ching for the pharmaceutical company. Ask yourself - when is the last time the doctor took you OFFof a medication? It's a rarity, unless, you're having side-effects from it. So, we all pay for these freebies in the way of ov er-priced medications. And I look at it this way... the doctor's are getting their freebies, so we might as well get yours! So, either tell your doctor if you don't have insurance and can't afford to buy the pills. Or if you've run out and need some to tide you over until you can afford more. Even if you have insurance, but the insurance won't cover the pill because it's not generic, and the pill is way too expensive (I had that situation once-the pill cost $25 a piece), ask if they can spare any. Then say that you'll take as many as they can spare! Sometimes you will be surprised at the quantity of free samples that your doctor will give to you. When I didn't have insurance, some of my doctors were VERY generous with the samples! So don't be afraid to let them know your situation.